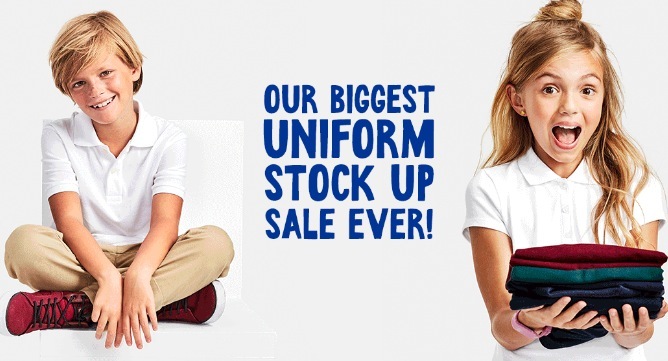 Right now, The Children’s Place is having a Uniform Stock Up Sale! Plus, shipping is free! You don’t want to miss these HOT prices! Get all boys and girls short sleeved polos for only $4.99 shipped! Get all girls uniform bottoms for under $8! 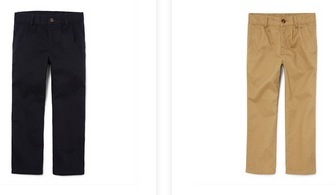 Get boys uniform bottoms for only $8! Plus, get all girls uniform dresses for 50% off! Shop the School Uniform Stock Up Sale here. « Shuttle Art Dual Tip Art Markers, 50 count only $15.51!